Steve Lehman’s approachable and resourceful chops combined with warm rich tone are the focus of his new release, Dialect Fluorescent (Pi). Although Lehman has become known for his blending of the exotic and the familiar jazz vocabulary, on this release, a trio outing, he explores standard material with fresh angles and progressive fringes that have their origins in the cannon of straight-ahead jazz. Lehman’s acerbic alto sax is joined by Matt Brewer on bass and Damion Reid on the drums. Lehman received his B.A. (2000) and M.A. in Composition (2002) from Wesleyan University where he studied under Anthony Braxton, Jay Hoggard, and Alvin Lucier, while concurrently working with Jackie McLean at the Hartt School of Music. He is currently a doctoral candidate in Music Composition at Columbia University, where he is a departmental fellow and studies under Tristan Murail and George Lewis. Lehman’s early mentor Jackie McLean’s composition, “Mr. E,” is given a healthy work over by the trio. The driving pulse is explored by all with Lehman’s alto spending plenty of time developing melodic and rhythmic fragments to maturity. Reid “fills the void” where the chordal instrument might reside with confidence and plenty of “poly” commentary. “Moment’s Notice” is given the “Countdown” treatment with Lehman and Brewer blowing over the clearly stated changes, later to be joined by Reid to add to the development. Lehman makes obvious references to the melody as he continues to develop the theme until the end where we are given the melody in its entirety. We hear from Lehman’s apt pen on “Alloy.” A well-crafted selection that feels right at home with the surrounding “standards.” Brewer’s growling sustaining notes ground the highly interactive conversation between Lehman and Reid. “Jeannine” by Duke Parson is an enjoyable journey through the familiar AABA form with a very enjoyable swing groove that finds Lehman speaking new ideas about well-known topics. 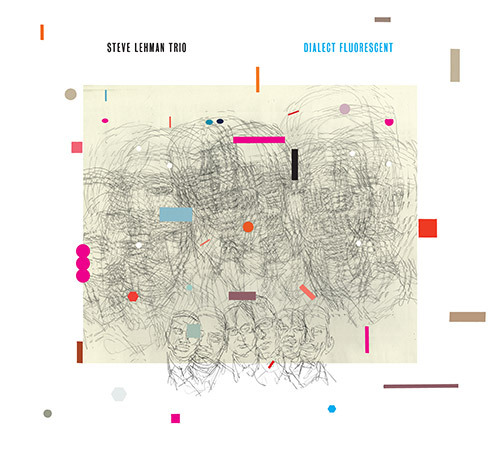 Be the first to comment on "Steve Lehman, Dialect Fluorescent"